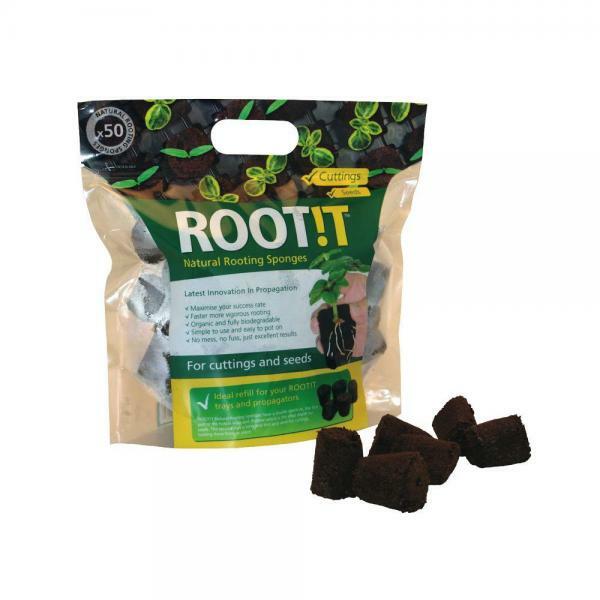 Maximise your success rate and grow faster, more vigorous roots with ROOT!T Natural Rooting Sponges – the latest innovation in propagation. Not only are they simple to use and easy to pot on. 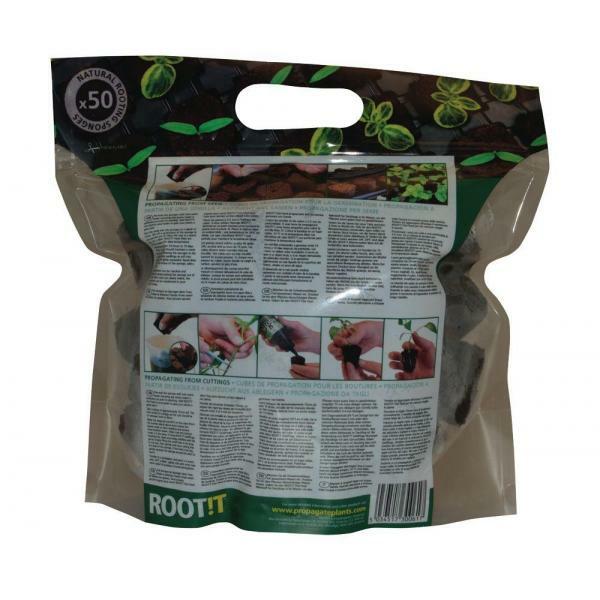 This bag of 50 sponges can be used to refill trays or used on there own on a bed of perlite or Vermiculite.